I managed to get an entry to last weekend’s Chiba Damashii event even though it sold out in one day, so see how it looked from a driver’s point of view in this video. Seeing as I’m putting up a lot of videos recently, I thought I’d dig this old GoPro2 footage out and edit it up. This was in about mid-2011 at a Wind’s Auto weekday event. It wasn’t a very busy day, so Daigo decided to get his jollies by tandeming (is that a word?) myself and Andy from Powervehicles at every opportunity. For some outside footage, check this video shot by Powervehicles. As you can see from the horribly taped up rear quarter, this was shortly after I had that crash at Maze Circuit. What happens when someone likes Yonmeri Skylines and kyusha style, but doesn’t want to deal with rust and carburettors and a lack of spare parts? 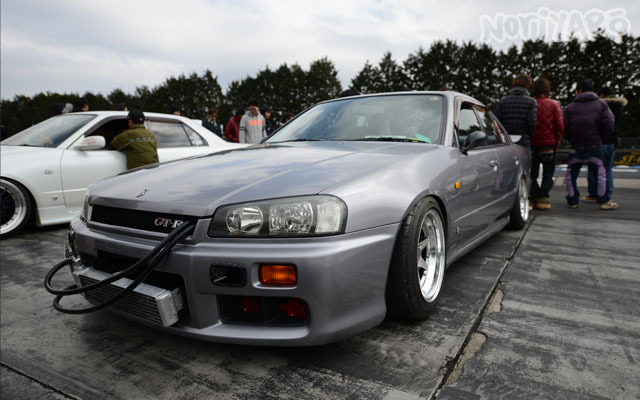 They do this to an R34 four-door! External oil-cooler, GT-R badge, silver flake bumper vents, musical zokki horns, some SSR ronshan wheels and a Hakosuka rear wing. A better translation of his sticker is “Crash King”, but I like my version. I caught up with old-school D1GP driver Dart Izumi Jr at a recent Kids Heart day at Motorland Mikawa. He had an old Laurel that had been sitting somewhere for about three years that had only been started up the day before. What better way to revive an oil-drained engine than going drifting with it? 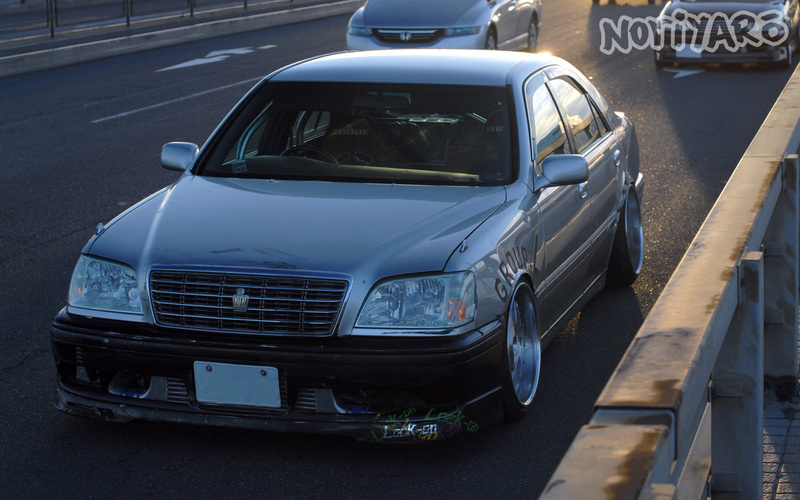 This week, we have some video from Team FOOL’s lead driver Okajima in his 530hp 2JZ-converted Verossa. 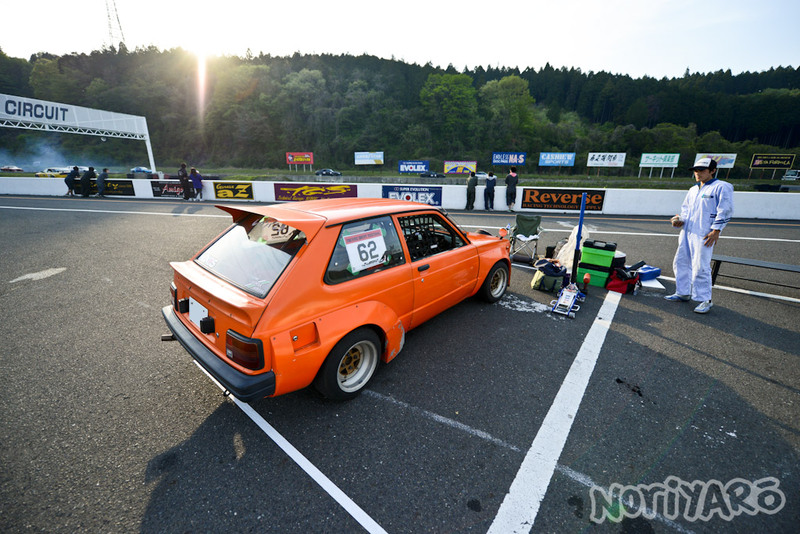 They might not be all that well known in the broader car community, but Team FOOL is one of the longest still-running street drift teams in Japan. They have been active since over twenty years ago, and gained a lot of infamy for their high-speed drifting in the docks around Minato and Ota in Tokyo. This culminated in a mass-arrest against the group a few years ago, with video of their cars in a police impound lot appearing on the evening news. It’s not uncommon to see them at the somewhat more legal venue of Tsukuba Circuit these days, which happens to have a long high-speed sweeping corner on to a straight. By a nice coincidence, this is a fairly similar layout to the street venue they used to always drift. 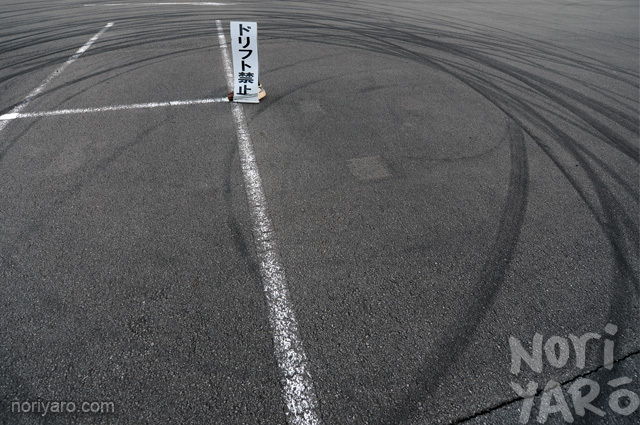 This video was taken in the “bancho” or “gang boss” drift class at a recent event. To drive in this group, you can’t just pay for your entry and get in. You need to have the explicit approval of Okajima, since the speeds are high and everybody needs to trust everyone else enough to drift nice and close. I reckon the Mark II could cut it in there, so I might try and convince him to let me drive next time. For those wondering, “sanpatsu” means “three motion” or linking a straight between two corners using three drift motions. As much as I know people are keen on seeing it, actual street drifting is a bit sketchy to put up at the moment due to some recent incidents. To make up for that, how about a video of the boss of Tokyo’s most notorious street-drift team ripping up the front straight at Tsukuba Circuit?